Firstly, congratulations, you are going to be a bridesmaid or maybe you’re the bride looking for inspiration for your bridesmaid hair on the day, either way exciting times ahead. 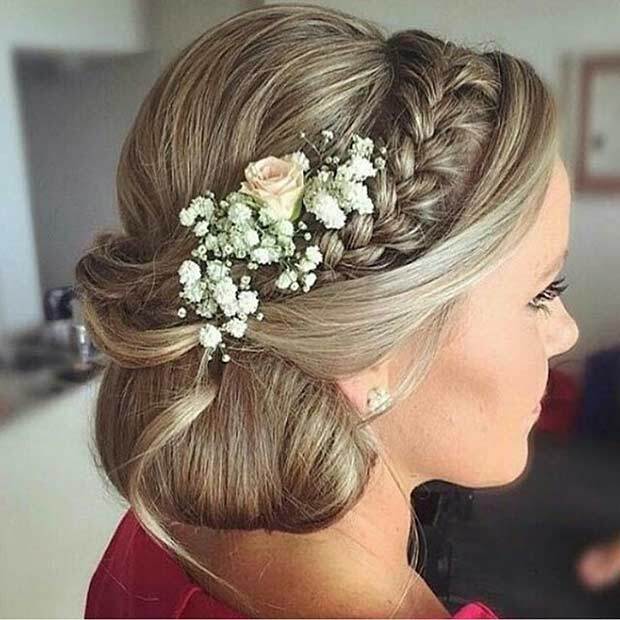 Searching the internet for bridesmaid hairstyles can be a nightmare, there are so many different styles to choose from. Our advice would be to have a general idea of what you want. It’s much easier this way because it can be overwhelming and you lose sight of what you initially love. 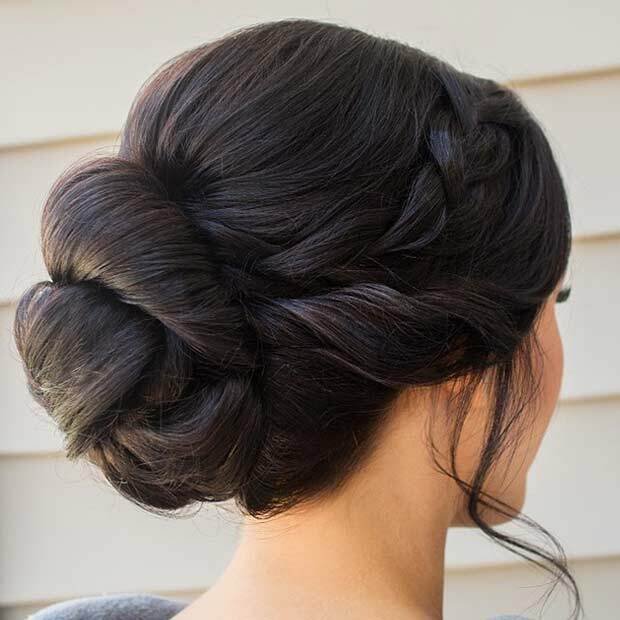 The bun is simple and always elegant. You can always add braids or twists to create a more detailed hairstyle. This is a tight and neat bun which will last all day. It has a girly yet sophisticated vibe for any bridesmaid. If you are following a classic, traditional wedding, then this will set your wedding. Teasing the crown will create wonderful volume. This hairstyle is about being messy, braids and volume. 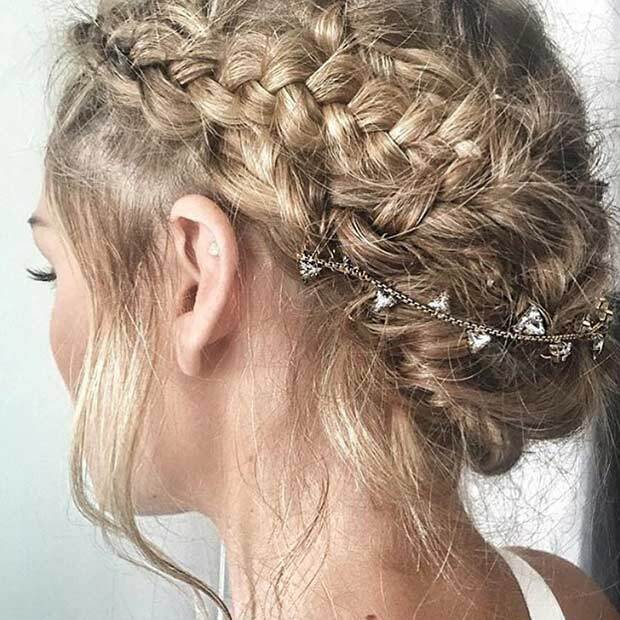 Think of it as 2 hairstyles on one – you have the fishtail braid that creates a hairband and wraps around the back and you have the messy bun. Perfect if you have long hair so you can mess around with the braid and bun. Flowers are a must at a wedding. 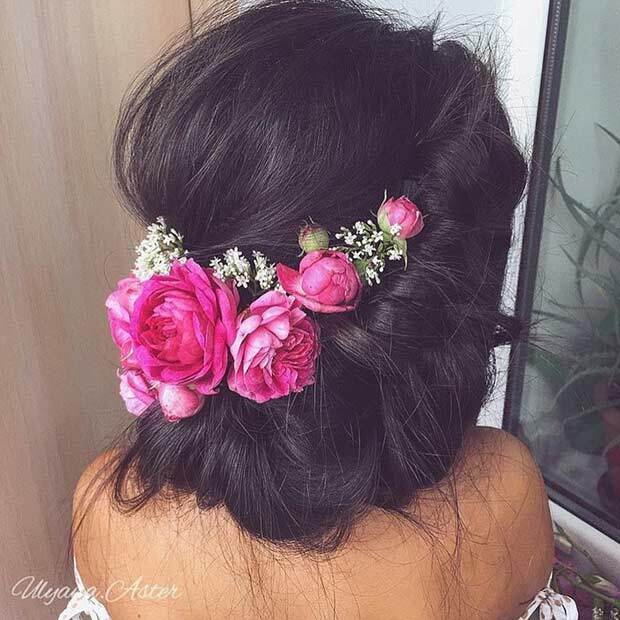 Adding flowers to hair, creates a delicate and girly look and it can be part of your theme. Don’t worry too much about pinning your hair back and getting this look as the photo. As soon as you add your flowers, this will be centre stage. Let the braids tell the story. This is a gorgeous, romantic look with the braids integrating into the messy bun. This is guaranteed to make you look amazing for the photographs. Trick the eyes with this style. Create a faux mohawk style that gives the illusion of shorter hair. It’s fun, creative and striking. This is perfect for a boobtube or a one-shoulder dress. Is the wedding on a beach or outside? 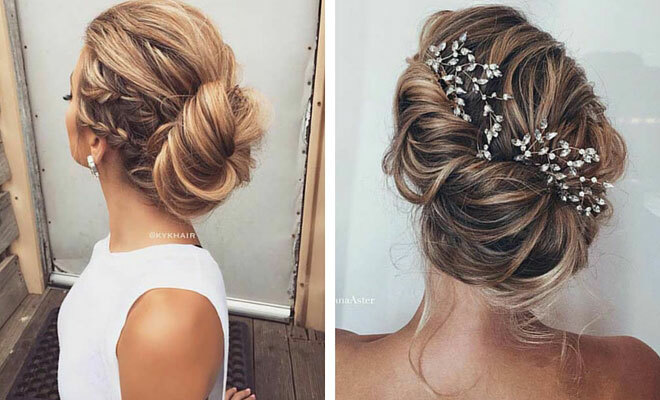 Opt for this breathtaking updo. This is the ideal boho inspired style. 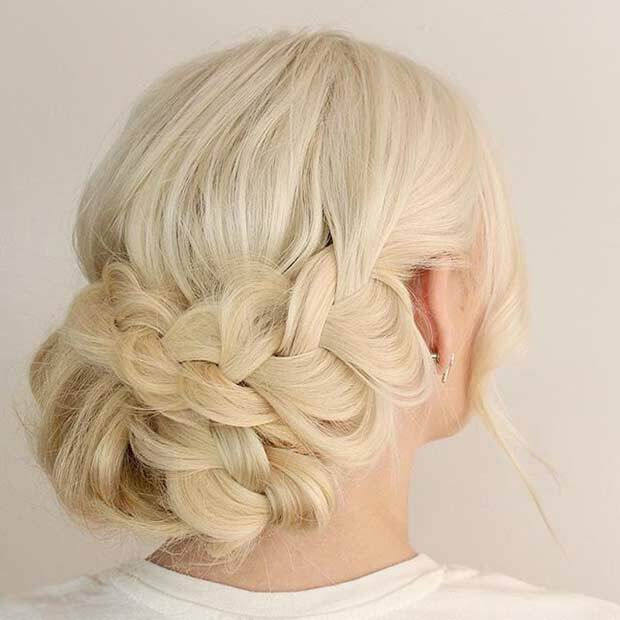 This rustic, messy braided style looks stunning. A luscious chaos of braids and to complete the look, clip in a hair accessory that drapes like a necklace. Fishtails are always a winner. Have a fishtail braid and combine it with a headband to emphasis the hairstyle. This is a fabulous style and it’s not the usual looking fishtail as it’s sideways, not long ways. Side sweep hairstyles are simple and elegant. 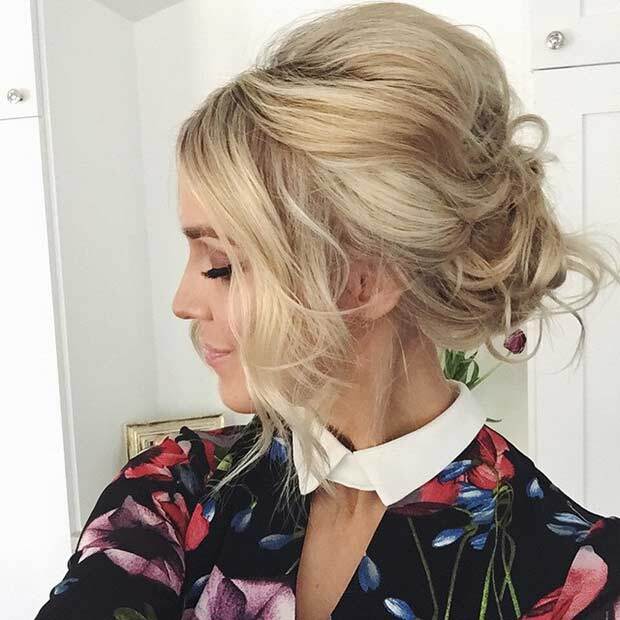 A side sweep bun works beautifully for bridesmaids. Adding a braid to your side bun will add femininity and glamour. The styles doesn’t stop there, you can incorporate flowers to match your bouquet. This is a simple and messy style. It will look graceful even though it’s a messy teased updo. For us, this is a controlled messy style, which looks exquisite and chic. It has a vintage vibe so it may complement your theme too. 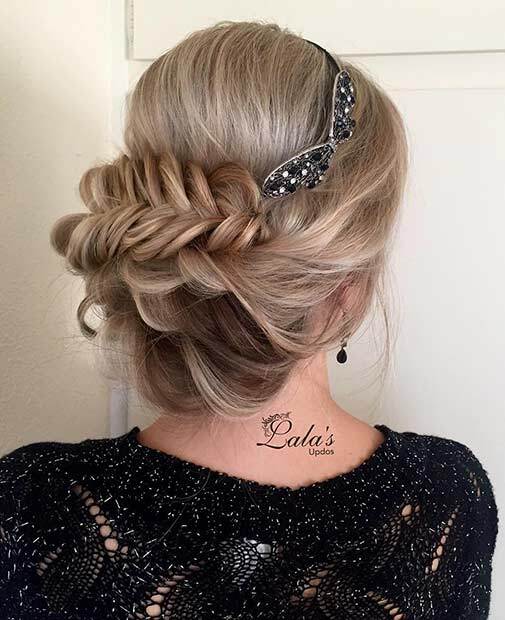 This simple braided updo looks beautiful and sophisticated.